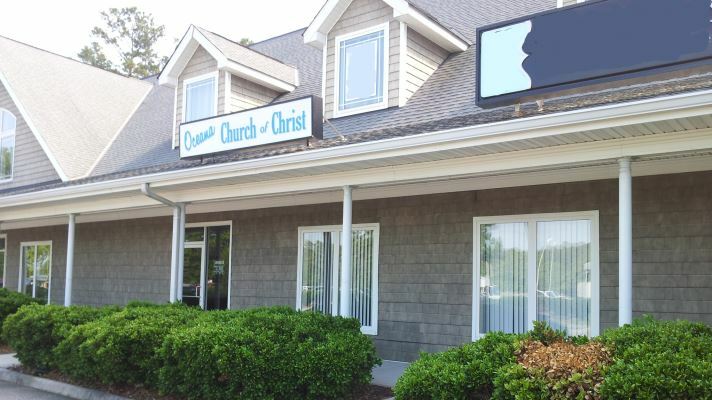 The members of the Oceana church of Christ Welcome YOU! We realize you have many opportunities to search out information concerning the available places to learn about expanding your personal walk with God and the building of a relationship with Jesus Christ. We are most pleased that you are taking this opportunity to learn about us, the Oceana church of Christ. By navigating thru this website, you will learn more about the Oceana church of Christ and about us as a congregation of His church. May God, our Father, help you in search for truth that will ultimately result in living eternally in that place being prepared for all those that seek to do His will.